Apparently, the Zbox Q workstation mini PCs were quite the hit and Zotac now intends to release an updated version by the end of 2018. Zotac will only add a newer i7-8700T six-core CPU (plus a new motherboard) and a faster 10 GbE NIC to the already powerful specs that include Nvidia's Quadro P5000 16 GB VRAM GPU, NVMe + SATA storage combos and up to 32 GB of DDR4 RAM. 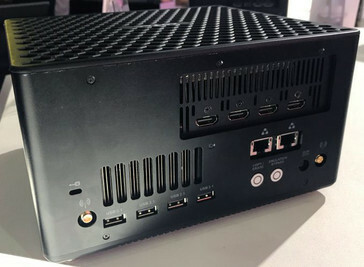 A couple of months ago, Zotac was launching the first workstation mini PC models equipped with i7-7700 quad-core CPUs and Nvidia Quadro GPUs. 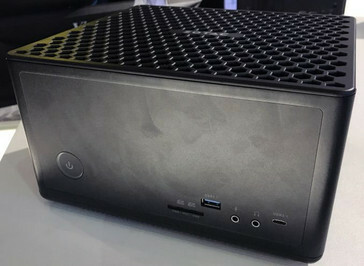 This series received quite a few praises at launch and this prompted Zotac to plan for models with a few upgraded specs. Zotac recently announced the new Zbox Q series will integrate Intel's Core i7-8700T six-core chips with default clocks set at 2.4 GHz and boost clocks going all the way up to 4 GHz. The CPU upgrade requires an updated motherboard, as well. GPU-wise, the new Zbox Q series willl not get any upgrades, as Nvidia’s Quadro P5000 professional model with 16 GB of GDDR5 VRAM is still the best solution as far as price/performance is concerned, but it is important to point out that the Zotac version comes with four HDMI outputs. Most of the other components like the system memory (up to 32 GB of DDR4) and the storage combo (NVMe SSD + SATA SSD/HDD) will not be updated either. However, there is a new 10 GbE NIC with two ports, most likely the X550-AT2 from Intel. Other features include Intel Optane memory support, an SD/SDHC/SDXC card reader, Wi-Fi + Bluetooth 5, six USB-C 3.1 connectors and mic in + headphones out. 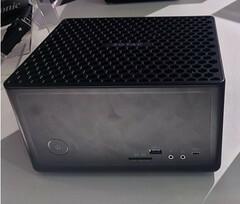 The new Zbox Q-series was demoed at Computex and Zotac mentioned that the model should be available starting with Q4 this year, although no info on pricing was mentioned.